[Intro] Wi-wi-willis gidem [Pre-Chorus] See person pikin see as he fresh If you see am dey come give am respect All white agbada check the Rolex If person think am too much person go vex See sauce dripping, liquor sipping Chicks want booking but I get them on looking See sauce dripping, liquor sipping Chicks want booking but I get them on looking [Chorus] Sweet boy, fresh guy, sweet boy, fresh guy Sweet boy, fresh guy, sweet boy, fresh guy [Verse 1] Look at how am fly in my fresh swag look at how I shine with no recipes Always on time like the first flight but I make am squeeze high when I check time Oh boy, on the air gon, pour me water you know the boy no be your mate, call me brother (Say what?) 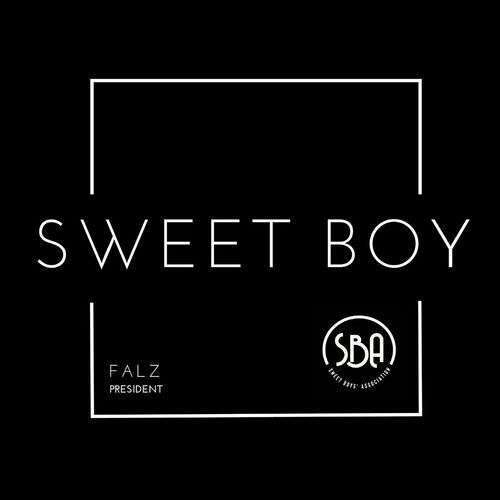 Sweet boy association I’m oga, sepe Eyan kan na lo bi omo yi sha [Pre-Chorus] See person pikin see as he fresh If you see am dey come give am respect All white agbada check the Rolex If person think am too much person go vex See sauce dripping, liquor sipping Chicks want booking but I get them on looking See sauce dripping, liquor sipping Chicks want booking but I get them on looking [Chorus] Sweet boy, fresh guy, sweet boy, fresh guy Sweet boy, fresh guy, sweet boy, fresh guy [Verse 2] Look at all the moves I dey give them Look at all the nudes in my dm Sweet chocolate boy, he is so damn fine She wan know wetin I rub to make the beard shine Wait make I step in the place, girlies go crase Isn’t why your chief bridesmaid giving me face? Why you sister no just wan give me the space? (Oh my God) Na dem Dey rush us, we no really dey chase [Pre-Chorus] See person pikin see as he fresh If you see am dey come give am respect All white agbada check the Rolex If person think am too much person go vex See sauce dripping, liquor sipping Chicks want booking but I get them on looking See sauce dripping, liquor sipping Chicks want booking but I get them on looking [Chorus] Sweet boy, fresh guy, sweet boy, fresh guy Sweet boy, fresh guy, sweet boy, fresh guy. Sweet boy, fresh guy, sweet boy, fresh guy.